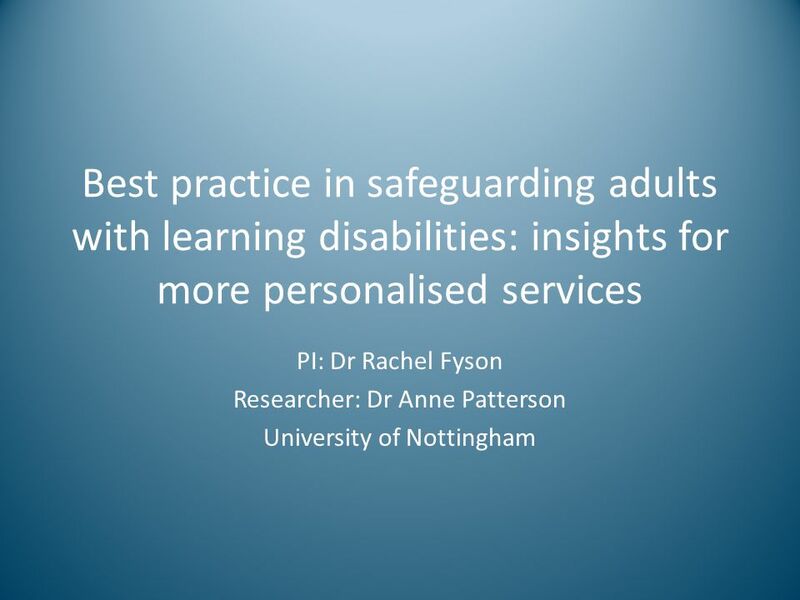 Best practice in safeguarding adults with learning disabilities: insights for more personalised services PI: Dr Rachel Fyson Researcher: Dr Anne Patterson. 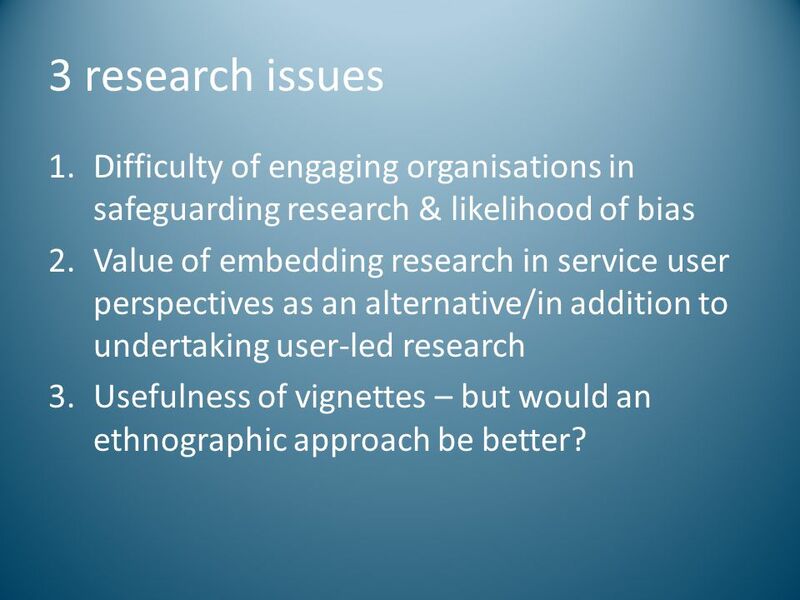 6 3 research issues Difficulty of engaging organisations in safeguarding research & likelihood of bias Value of embedding research in service user perspectives as an alternative/in addition to undertaking user-led research Usefulness of vignettes – but would an ethnographic approach be better? 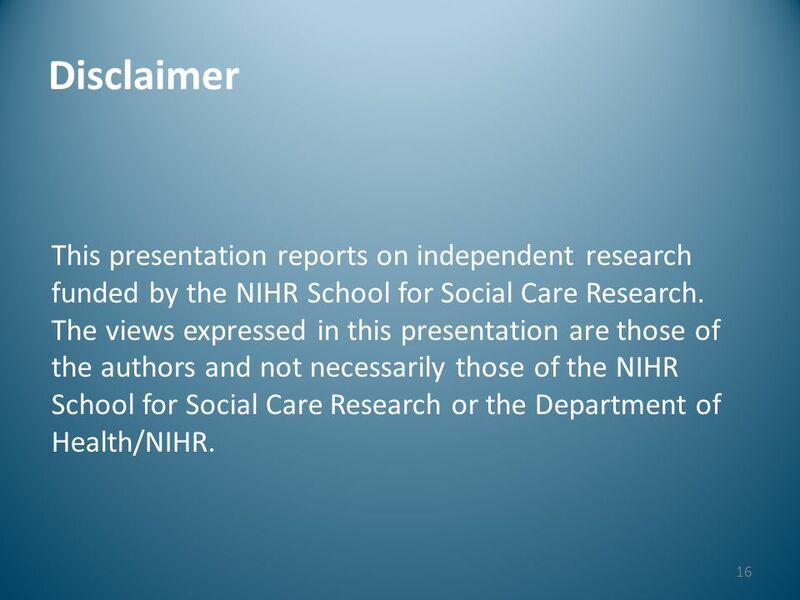 16 Disclaimer This presentation reports on independent research funded by the NIHR School for Social Care Research. 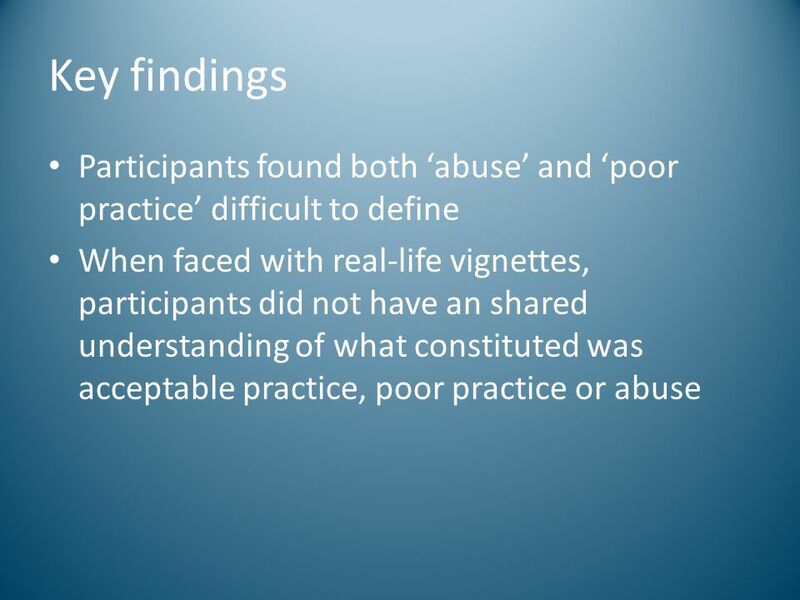 The views expressed in this presentation are those of the authors and not necessarily those of the NIHR School for Social Care Research or the Department of Health/NIHR. 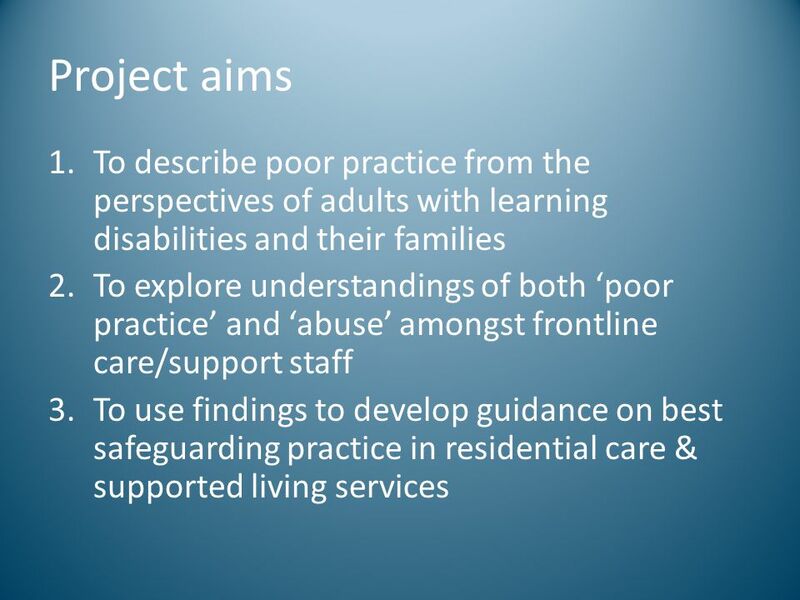 Download ppt "Best practice in safeguarding adults with learning disabilities: insights for more personalised services PI: Dr Rachel Fyson Researcher: Dr Anne Patterson." 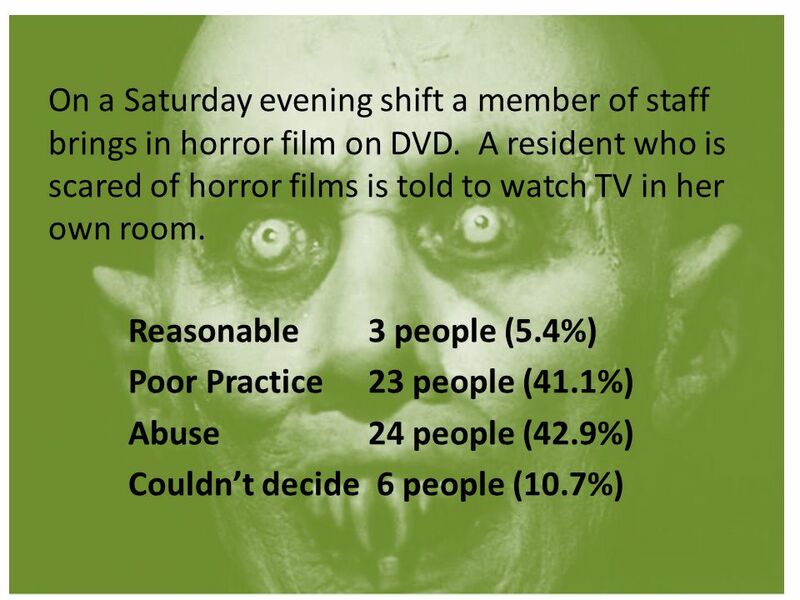 The lessons from MARAC Jan Pickles. National Averages as of July 2010 National Picture Regional Picture Number of MARACs sending in data Number. Who Cares? 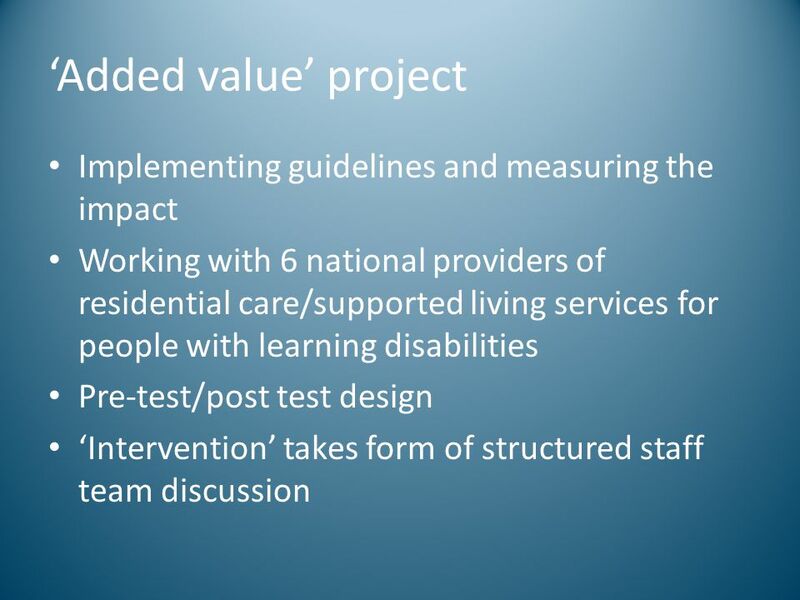 The Future of Adult Care and Support in Northern Ireland - Discussion Document. 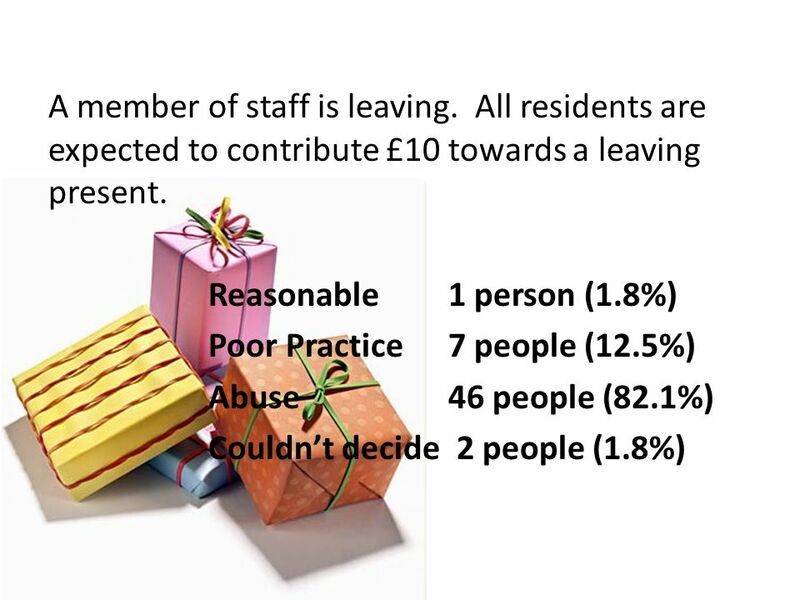 The provision of Carers Breaks – an integrated approach across Nottinghamshire County Donna Whyatt Carers Breaks Implementation Lead NHS Nottinghamshire. Care home congress 2009 Choice, control & care homes: the implications of personal budgets in care home work Jill Manthorpe Social Care Workforce Research. Managing Difficult problems Ann York and Steve Kingsbury. 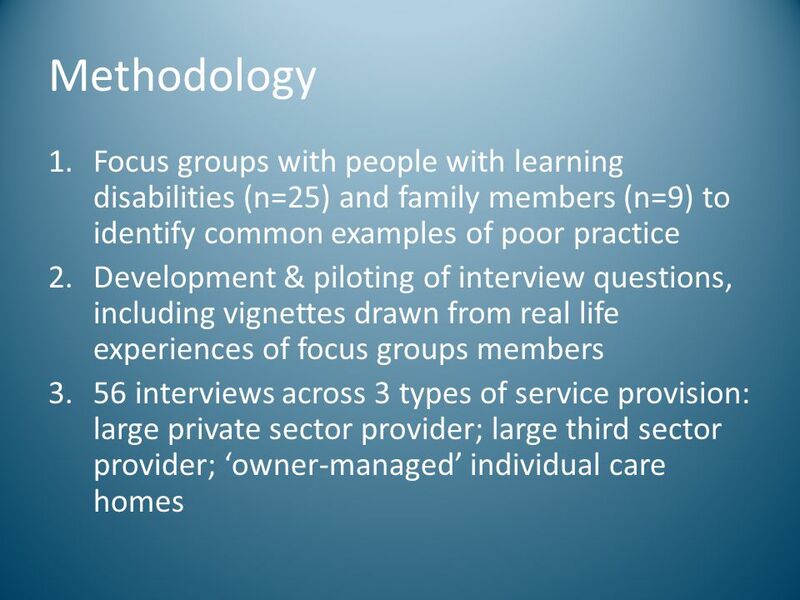 School for Social Care Research Improving the evidence base for adult social care practice Involving Carers in Personalised Adult Social Care Practice. 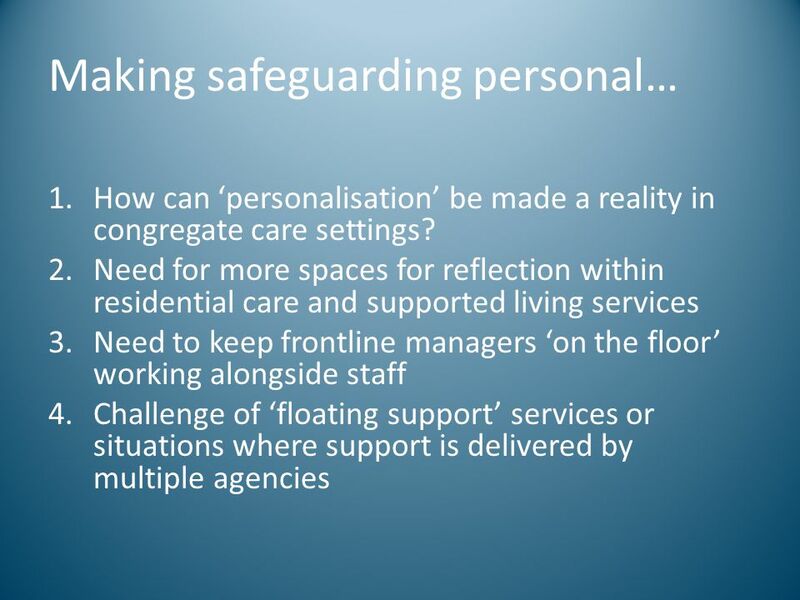 1 Vision for better co-ordinated care: how could mental health payment systems serve as a key enabler for integration and personalised care? Mental Health. A Strategic Overview James Cawley / Pat Palmer Use of Resources. NSW Supported decision making pilot Supported Decision Making Conference Melbourne 18 October 2013. Self Directed Support What does it mean The Theory and the Practice Speaker: Ian Hood. 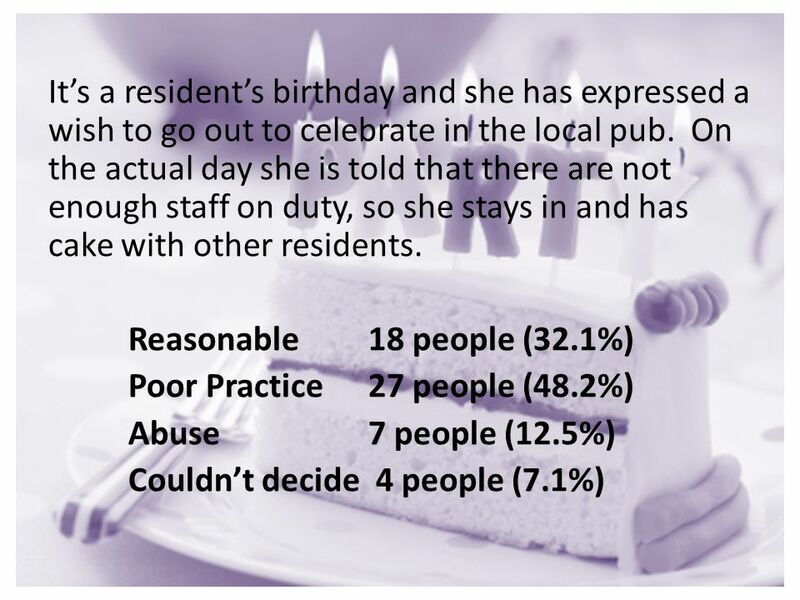 Why new procedures: For the first time the Care Act places a statutory responsibility for adult safeguarding on local authorities and places duties on. 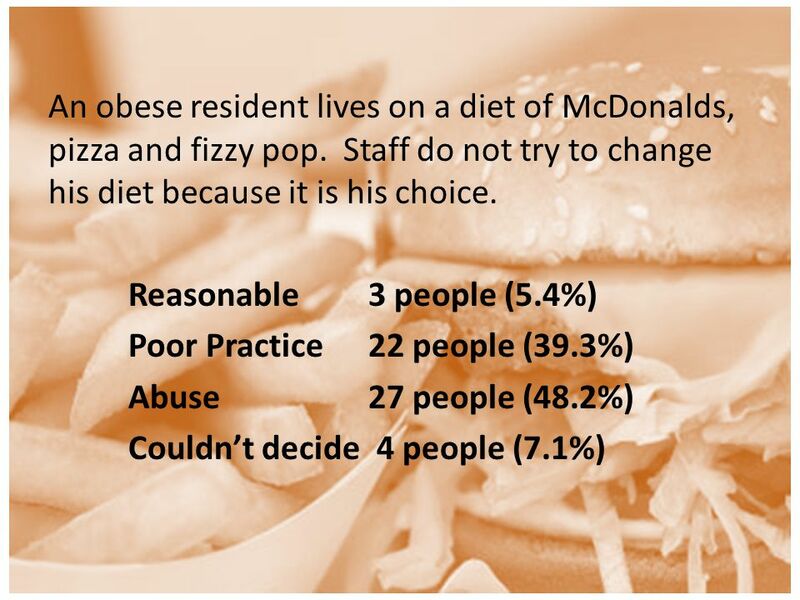 School for Social Care Research Improving the evidence base for adult social care practice Taking On and Taking Over: Physically Disabled Young Adults. 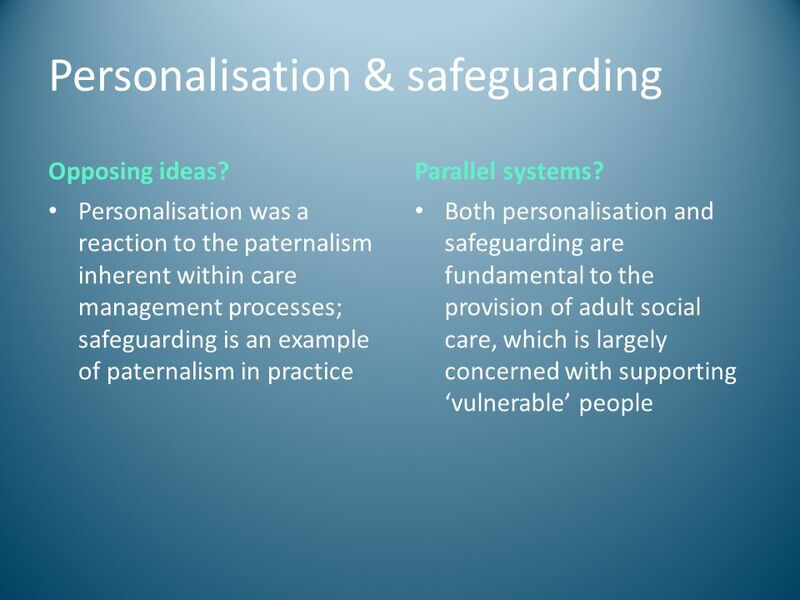 Personalisation, Direct Payments so what is the difference? 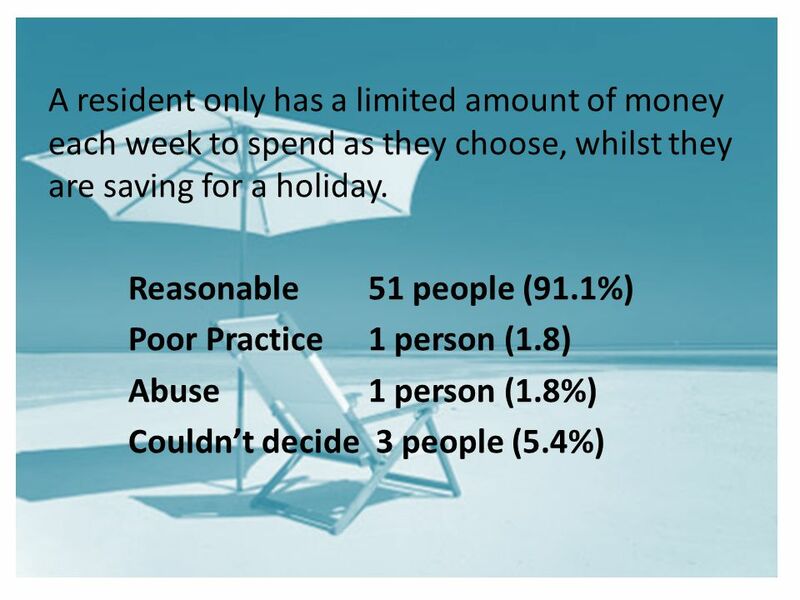 Offering more choice and control for families or a way of saving money? 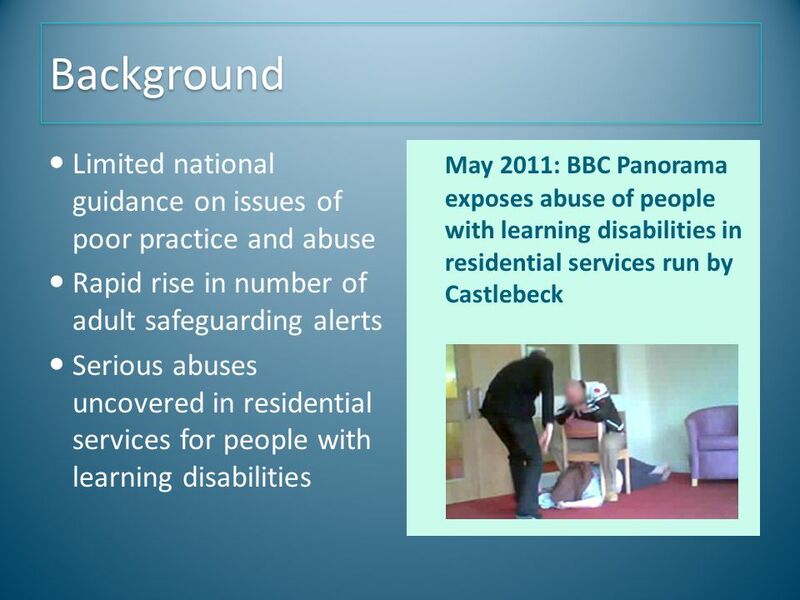 Presentation to NTMAC, September  2007: Prevention and Early Intervention Programme, funded by Gov’t and Philanthropy;  Tasked to design, deliver. Transforming Community Services Commissioning Information for Community Services Stakeholder Workshop 14 October 2009 Coleen Milligan – Project Manager.